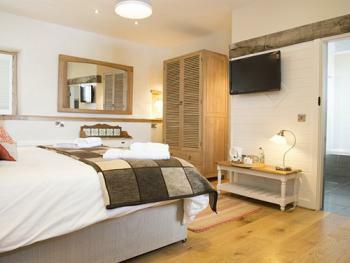 This is the most petit of our five rooms but is never outdone by the other four. The Linen Room has a picturesque view. Lay on your bed and let nature become your TV and watch the magical Trefloyne sunset with a glass of fizz in hand. Perfect! In all honesty, this should be called ‘The Junk Room’, a place that stored our golf clubs, and well, junk! 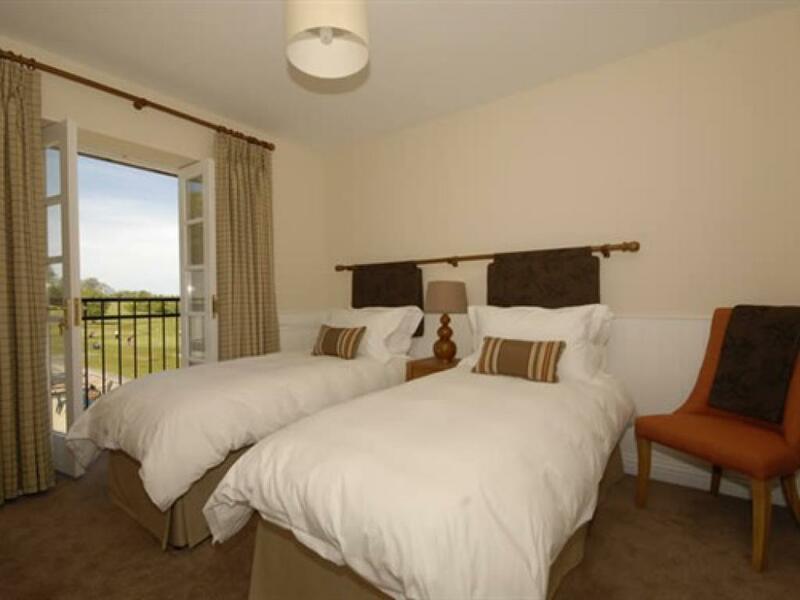 This room has by far the best views down the first, ninth and tenth fairways and a great place to see the wonderful Trefloyne sunset. Sun not guaranteed. How can we, we are in Wales after all! The only room in the main house originally used as a bedroom, mostly when one of us was a little merry and needed to crash! 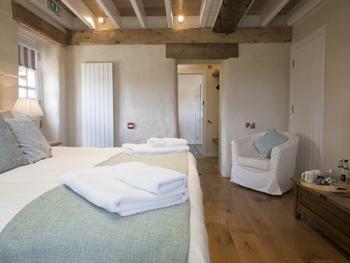 With exposed beams and original features this room represents the uniqueness of the manor house, with the Juliet balcony looking out over the courtyard. All our rooms are special but this one is really special. Having been used as our office for many years, we hadn’t planned on the room being quite so spectacular. With a bathroom the same size as the bedroom; it’s a real retreat. A roll top bath, double shower and Molton Brown bath products to soak into a let the day wash away!! The most stunning rooms Pembrokeshire has to offer are now completed. Coach house rooms have been calved out of our beautiful barn to create a room for everyone and any occasion. Uniquely designed bedrooms created out of the natural layout of the manor house in the heart of Trefloyne. 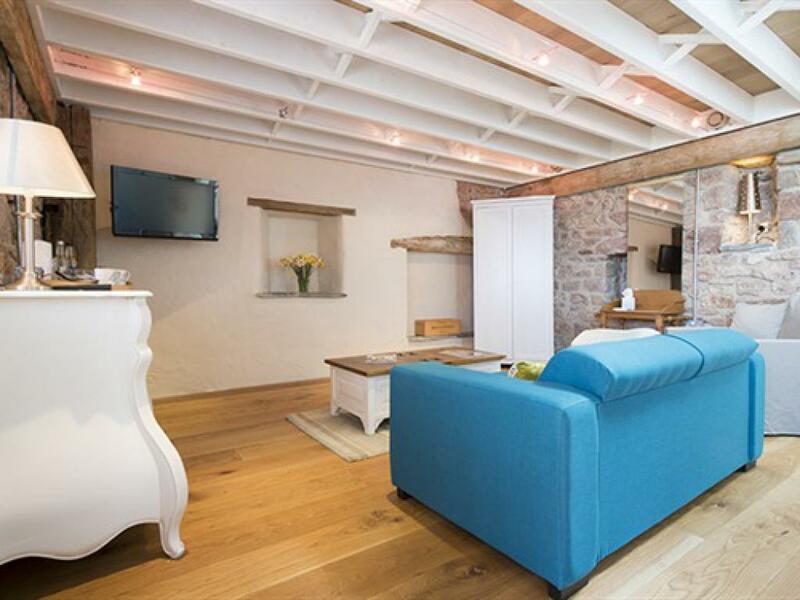 Trefloyne Manor is an elegant house situated in the heart of the Pembrokeshire countryside. 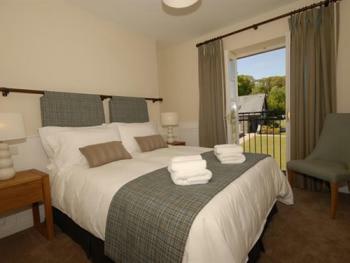 Combining a country club setting and the elegance of a homely hotel with the picturesque view of a countryside setting. 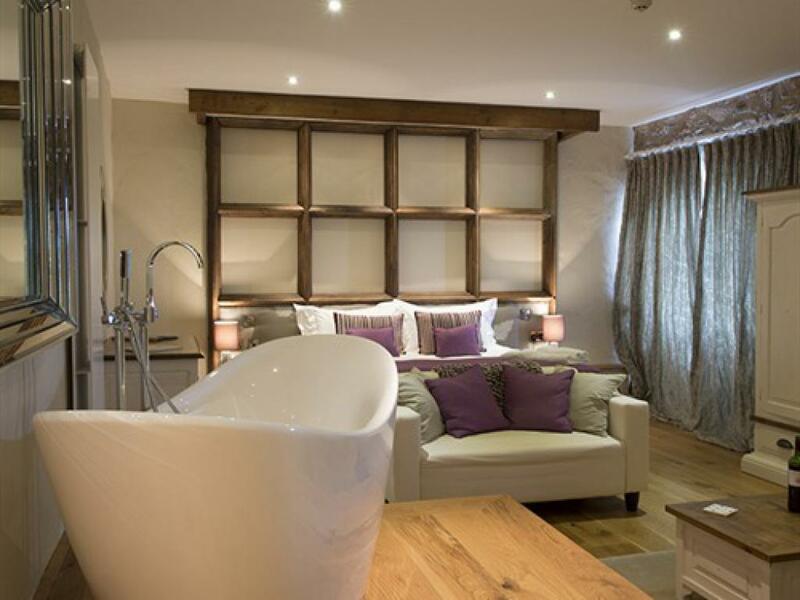 Trefloyne Manor has been designed to provide you with a memorable experience, whether it be a summertime evening meal, a cherished and luxurious wedding or even business meeting. When you walk up onto the beautiful sun terrace adorned with flowers and enter the warm and welcoming hall, you will be greeted with a smile before you instantly relax. 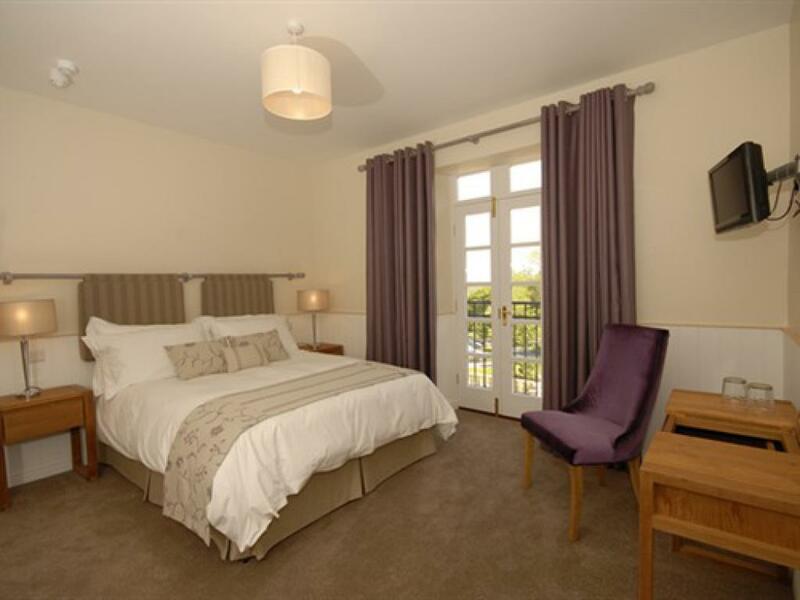 An 18 hole golf course surrounds the manor house, which is available for a yearly membership and day rate play. Whatever brings you here whether it be a Friday night drink after work, a special evening meal, a wedding or the perfect retreat for a weekend away Trefloyne manor is a "must see". 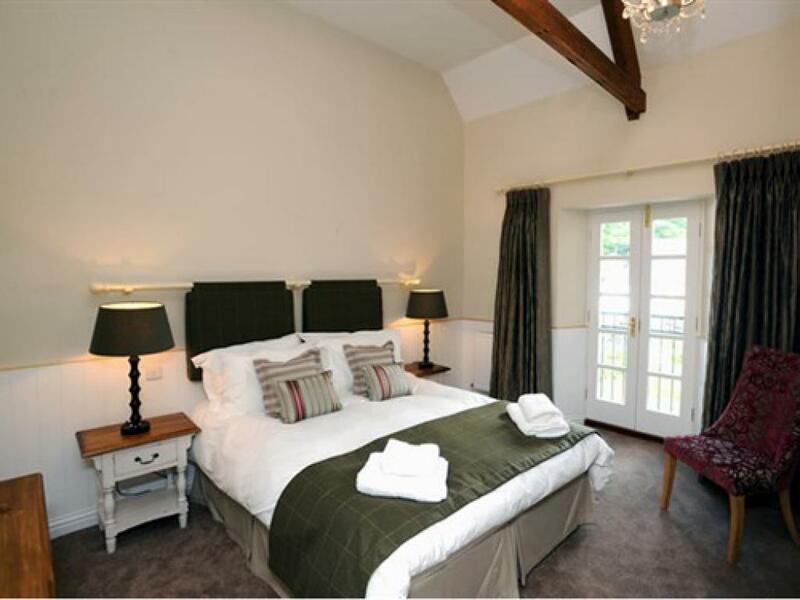 What to expect from your room.. Soft pillows and duvets, fluffy white towels and Molton Brown bath products, bathrobes are available on request and tea and coffee making facilities with homemade biscuits. If we’ve forgotten something, please don’t hesitate to tell us. We will always endeavour to get it for you. Whilst we don’t do room service we will happily provide an in room picnic, with cured meats, olives, bread, cheeses and a great bottle of wine. All rooms are en-suite, beds will be made up as double, if you require twins please state when making your booking. 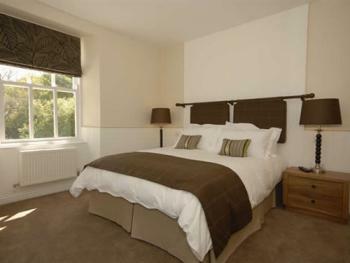 Rooms from £90.00 and include full welsh breakfast. Trefloyne Golf Course and Manor is reached via the A4139 Tenby to Pembroke road. About 1.5 miles out of Tenby, take the turning to Penally opposite Kiln Park Holiday Village, and turn into Trefloyne Lane. The course is some 250 yards on the left.